Lane's Lacquers: Sparkly Sinful Colors! Sinful colors are a new brand on me... and I'm pleased to welcome them to the collection, especially at £1.99/ea! I can see a couple creeping in every week at that rate lol! I already bought another today - Nail Junkie... I thought it summed me up at the moment, talk about splurging! 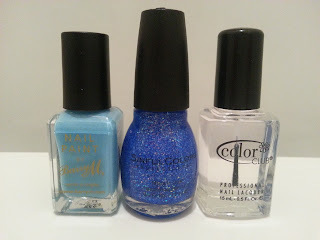 I love the thick, transluscent, gel like formula of these polishes and they dry in super quick time! They also removed like a dream! These two coming up were my faves of the four I got the other day... 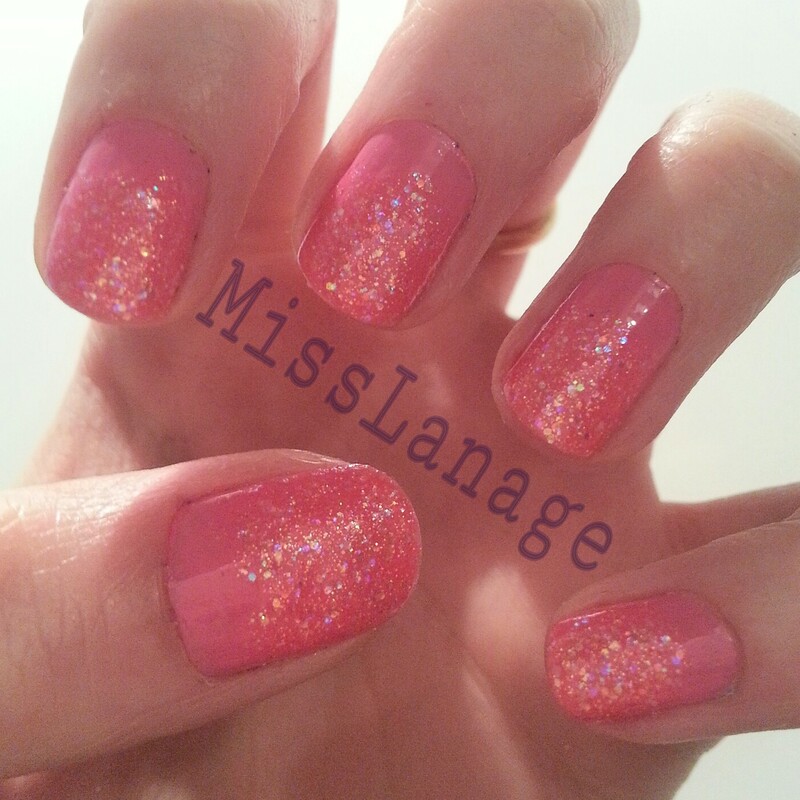 I just went for a simple gradient tonight, a complimenting base colour, followed by two coats of the glittery gorgeousness on the last 2/3 of the nail. I then finished off with a Color Club clear topcoat, another new-ish brand on me (although I have amassed 20 of them in a couple of weeks!! I blame TK Maxx!). 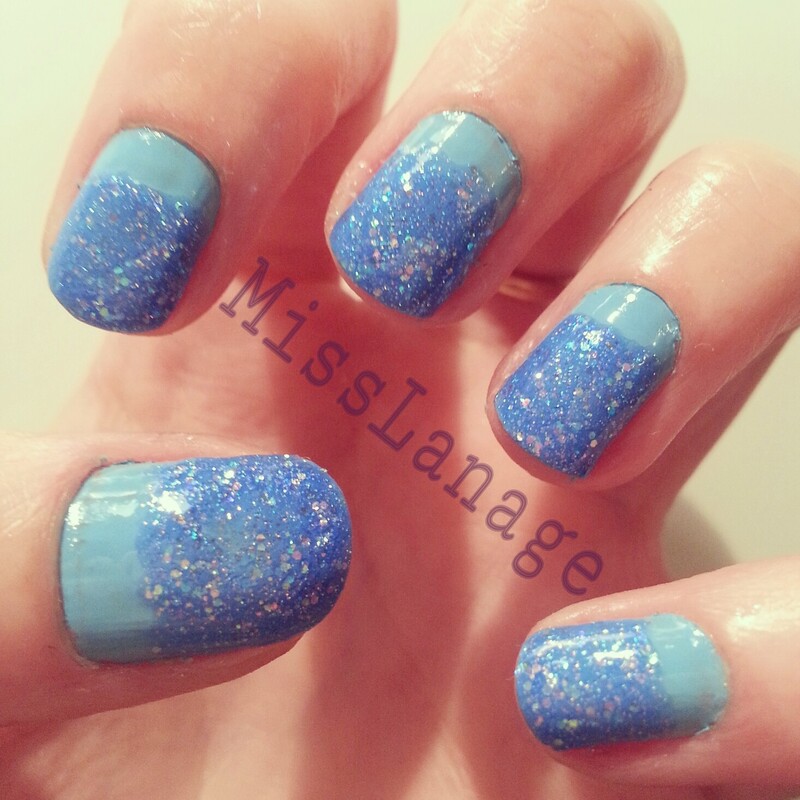 It's the first time I used the topcoat and I love it! So shiny and dried in less than a couple of minutes despite me applying a total of three coats in quick succession underneath :) So... Pictures! I apologise for the slightly dodgy first picture, I'm still trying to figure out the best lighting in my new room... I think I got it just about bang on for the second one though? ?